My five minutes of fame over my storm in a chocolate tin. At least you got chocs. I won a raffle at the weekend and much to my dismay, having dreamed of Roses & wine, or maybe nice vouchers, I collected a desk lamp and a bar stool! Gave everyone a good laugh though. Ugh! Coffee instead of Dairy Milk? Disappointing. They’re my kids favorite chocolates, too. 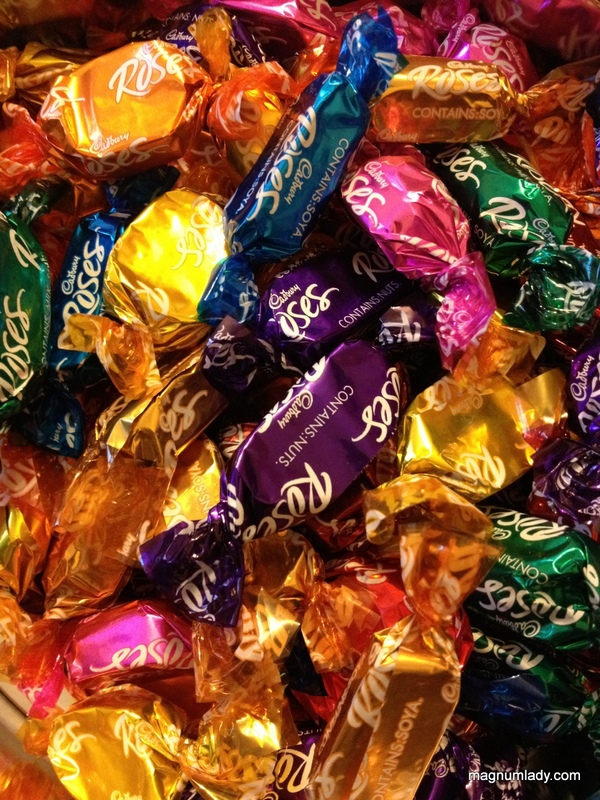 Cadbury Roses have been crappy for a few years now. And adding soya and/or palm oil to the ‘recipe’ is one more reason I won’t go near them now. They used to be so delicious. These days, we also get our chocs from Lidl, but also, Galaxy and Lily O’Brien’s. In other words, real chocolate, as opposed to god-only-knows what kind of chemical concoctions are now in Roses these days.